Regulatory nuances have established hot spots in the state. As a record harvest hits the market, farmers could be forced to accept as little as $1 per gram of legal flower. The State of Washington has a cannabis problem. But it's not addiction or even the black market. It's that they've got too much weed and not enough places to legally sell it. According to cannabis-focused research firm Straight Line Analytics founder Dr. Jim MacRae, the October 2017 outdoor harvest was the state's biggest to date and will mean a 60% larger supply from a year earlier. Oversupply from that bumper crop would generate sufficient concern on its own. But in Washington, it's paired with a significant shortage of retail outlets for farmers to legally sell their wholesale flower. As of September there were just under 400 stores operating with more than $1,000 in business per year, MacRae told TheStreet. 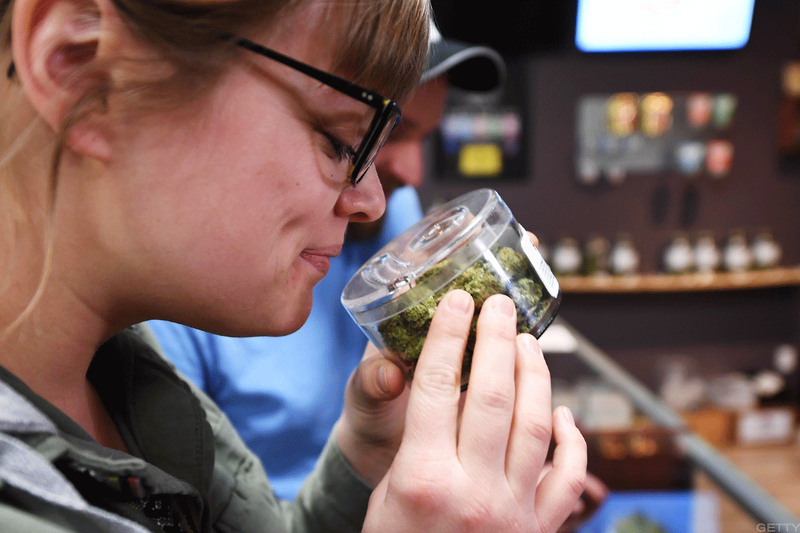 After previously medical-only "green cross" stores were rolled into regulation under Washington's Senate Bill 5052, the cannabis patient protection act, there were 556 locations selling retail cannabis legally. MacRae called that figure "grossly inadequate." As a result of strict regulation, "hot spots" of sorts have popped up in the state, MacRae said. Moratoriums and local bans in cities and counties mean the supply of legal, available retail weed is concentrated in patches where sellers have an easier time complying with local law. "Geographic access around the state is fairly spotty," MacRae said. For instance, if a retailer hears that a specific neighborhood on the outskirts of a large city makes the wholesale selling process easier, they'll set up shop there. But so will countless others. That creates patches of availability so fraught with oversupply that even disproportionate demand couldn't bring the market to equilibrium. According to MacRae, the nearly 1,170 farms licensed to sell the record-setting fall cannabis harvest to retailers in Washington isn't the real issue. Rather, it's the unreliable regulation in the state. "The local obstructionism has been a problem," MacRae said. "It's really caused a clustering." MacRae would know -- he applied for a farm license but found the process unnecessarily convoluted. The licensing process creates a high barrier to entry for retail outlets. And limited access to legal retail has made it difficult for those who want to buy cannabis to do so. "There are not enough stores from a consumer perspective," MacRae said. When asked if he thought there was, in fact, an oversupply, MacRae responded, "relative to the access points out there? They've narrowed the funnel so much that I would say yes." The fall harvest in Washington could risk not selling at all if farmers can't get the bumper crop to licensed retailers throughout the state. In the "islands" of retail ease, there's a significant oversupply that's driven down the cost farmers can ask for their flower. Of primary concern for many who've piled into the legal weed market were reports that licensed processors selling their harvest to retail were getting just $1 per gram wholesale. For reference, the average wholesale selling price for the first half of 2017 across the 10 top-selling strains was $6.25, according to BDS Analytics. That would mean as much as an 84% decline in prices per gram in the state for some growers -- a significant issue if true. In the 12 months ended March 2017, flower sales increased 57% year-over-year to $455 million in Washington. At the same time, prices declined 23% while the volume of sales increased 105%. Farmers are selling more, but they're also growing more. It's worth noting that while some producers are forced to accept as little as $1 per gram for some strains, it's not the norm across the industry. Less than 9% of the legal cannabis sold into retail in the third quarter of 2017 was sold for less than $1, MacRae said. But for that percentage forced to accept shrinking prices for flower in a boom year, oversupply could put them out of business. They're getting "damn close" to the cost of production, MacRae said.